Made with distilled Irish rain and a ridiculous amount of Valrhona chocolate. Enjoy! Wrong colour for today, Kieran! Now I have an excuse to go down to Dublin, Dingle or Tralee! I may not be able to eat your ice-creams, but love your sorbets! Chocolate + Sorbet. That is the first I have heard of its kind. However I have heard exquisite things about Valrhona chocolate. This I so want! All chocolate? Only Chocolate? Everything chocolate? Oh boy, sorbet magic! This looks ridiculously good. Chocolate sorbet, I’m about to eat the photograph representing you! 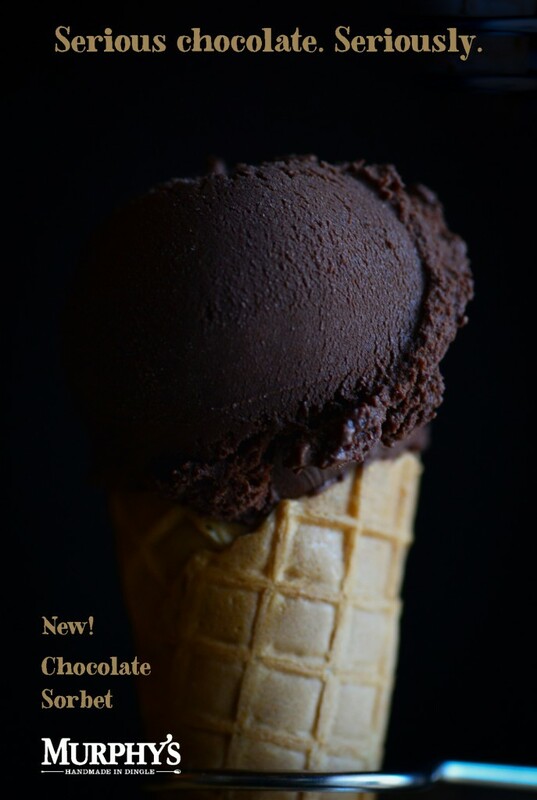 Your blog looks good.This Chocolate Sorbet is a perfect ice cream recipe. Your recipe looks very delicious especially with sorbets, it attracts me. My mother will surely like this delicious recipe, good for summer. It is perfect for summer season. I am excited to introduce this to my family. Can’t wait to taste this chocolate ice cream. Thanks for this recipe. Awesome! Murphy’s chocolate sorbet is so light and easy. I wish Dublin was in reach for original ice cream! Can’t wait to try this chocolate sorbet!! My favorite flavor is the strawberry but this might be a winner. I am a huge fan of sorbet. I used to eat just the traditional orange or raspberry, but this stuff is absolutely delicious. A classic twist on one of the best desserts out there. You have to try this delectable treat before the end of summer.